Maca is the highest altitude crop in the world. It grows around 4300 meters in the Peruvian Andes of South America. Maca’s use goes back to around 3800 B.C., when the indigenous peoples of Peru cultivated and ate it for its nutritional and medicinal value. It is incredibly high in beneficial amino acids, carbohydrates, and minerals like calcium, phosphorous, zinc, magnesium, iron, and vitamins C, E, B1, B2 and B12. Our favourite maca brand is by that sold by The Maca Team. They sell select Peruvian maca in its true raw form, which makes it highly absorbable by the body. 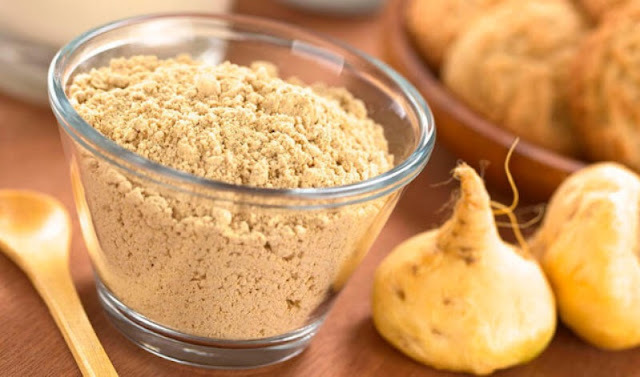 They also sell gelatinized maca which is easier on those with a sensitive digestive tract (this stuff is boiled down and pressurized to dissolve the starch content, however, so the gelatinized form is not raw – but still a great option for those suffering from digestive distress). The Maca Team sells exclusively organic products, working with farming co-ops in Peru that are against the use of pesticides and chemical fertilizers. They grow traditionally, which means that the land is allowed regular rest and is fertilized naturally. – Raw red maca: for prostate support, women’s fertility and libido, improvement in bone density. Sweeter and good for beginners! – Raw black maca: for men wishing to increase their fertility, men and women wishing to boost their libido, athletes wanting to gain strength and stamina, and anyone looking to improve memory, concentration and focus skills. – Raw yellow maca: the most common maca powder, great for beginners and for increasing energy, balancing hormones, improving skin health, and elevating your mood. – Raw premium maca: the most complete and potent all-around maca available – contains 30% red, 30% black and 40% yellow coloured maca roots. Strongest tasting and more concentrated and potent than single coloured maca powders. As for the health benefits of maca, check out those listed below! Maca has positive effects on energy, stamina and mood, which results in lower levels of anxiety and depression. It helps stabilize blood sugar levels (which decreases energy spikes and dips), and improves adrenal health, which combined help regulate mood and energy throughout the day. It has been said that Incan warriors consumed Maca before battle to increase their prowess. It helps to build muscle (thanks to the high quality amino acids), and studies have found it to improve stamina in distance racing. Maca has been traditionally used for helping relax and energize participants before long dance ceremonies. It’s positive effects on mood reduce perceived anxiety and stress. Maca is an incredibly potent aphrodisiac. It increases sperm production, boosts fertility and is a natural depressant. One study found that maca root is an effective supplement for women who experience sexual dysfunction as a result of taking SSRIs. The presence of high quality amino acids in maca serve as building blocks of hormones in the body. Maca supports the endocrine system, and so it naturally has a positive effect on your adrenal hormones. Maca is so effective that it can actually repair exhausted adrenal glands. Maca nourishes the thyroid gland. According to Dr. Viana Muller, who studied women with under-active thyroids, maca powder helped reduce these women’s use of thyroid medication, with some cases involving a complete termination of thyroid medication after using maca for just 2-3 months. Maca affects key hormones in both women and men without containing hormones itself. By helping balance estrogen and progesterone levels in the body, it ensures a woman can carry a successful pregnancy and reduces the wait time for becoming pregnant. In regards to men, studies have shown that maca can increase sperm health and function, improving their ability to fertilize eggs upon conception. Maca is great for improving overall mood and energy levels, which are important when trying to battle bouts of depression. Researchers from a hospital in Australia studied one group of women for 12 weeks – one group was given 3.5 grams of maca powder per day, while the other group was given a placebo. The results showed that those in the maca powder group had a significant reduction in scores in the areas of psychological symptoms, including those for anxiety and depression. Maca helps control estrogen levels in the body and so it is said to help improve symptoms of PMS, PCOS and menopause. By balancing estrogen levels in the body, it equalizes with the amount of progesterone produced, which thereby increases reproductive health and fertility and decreases symptoms related to PCOS. Maca also regulates the hypothalamus, which allows the pituitary gland to function properly. A healthy pituitary gland helps balance focus and energy, which thereby enables people to concentrate better and improve their learning ability. 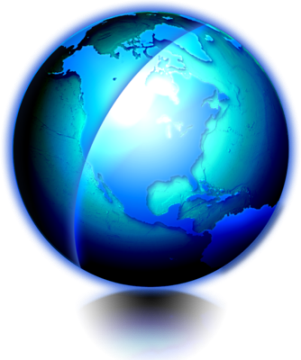 The black variety of maca powder is most beneficial in learning and memory.